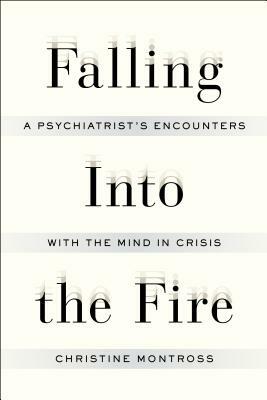 "Falling Into the Fire "is psychiatrist Christine Montross's thoughtful investigation of the gripping patient encounters that have challenged and deepened her practice. The majority of the patients Montross treats in "Falling Into the Fire" are seen in the locked inpatient wards of a psychiatric hospital; all are in moments of profound crisis. We meet a young woman who habitually commits self-injury, having ingested light bulbs, a box of nails, and a steak knife, among other objects. Her repeated visits to the hospital incite the frustration of the staff, leading Montross to examine how emotion can interfere with proper care. A recent college graduate, dressed in a tunic and declaring that love emanates from everything around him, is brought to the ER by his concerned girlfriend. Is it ecstasy or psychosis? What legal ability do doctors have to hospitalize--and sometimes medicate--a patient against his will? A new mother is admitted with incessant visions of harming her child. Is she psychotic and a danger or does she suffer from obsessive thoughts? Her course of treatment--and her child's future--depends upon whether she receives the correct diagnosis. Each case study presents its own line of inquiry, leading Montross to seek relevant psychiatric knowledge from diverse sources. A doctor of uncommon curiosity and compassion, Montross discovers lessons in medieval dancing plagues, in leading forensic and neurological research, and in moments from her own life. Beautifully written, deeply felt, "Falling Into the Fire" brings us inside the doctor's mind, illuminating the grave human costs of mental illness as well as the challenges of diagnosis and treatment. Dr. Christine Montross is Assistant Professor of Psychiatry and Human Behavior, and Co-director of the Medical Humanities and Bioethics Scholarly Concentration at the Warren Alpert Medical School of Brown University. She is also a practicing inpatient psychiatrist. Dr. Montross s previous book, "Body of Work," was named an Editors' Choice by "The New York Times" and one of "The Washington Post"'s best nonfiction books of 2007. She and her partner, the playwright Deborah Salem Smith, live in Rhode Island with their two young children."